In the world of cuisine, bread is understood and loved across cultures, cuisines, and continents. Bread ties us together. In Norway, that bread might well be lefse, an unleavened flatbread that is a staple during the holidays. 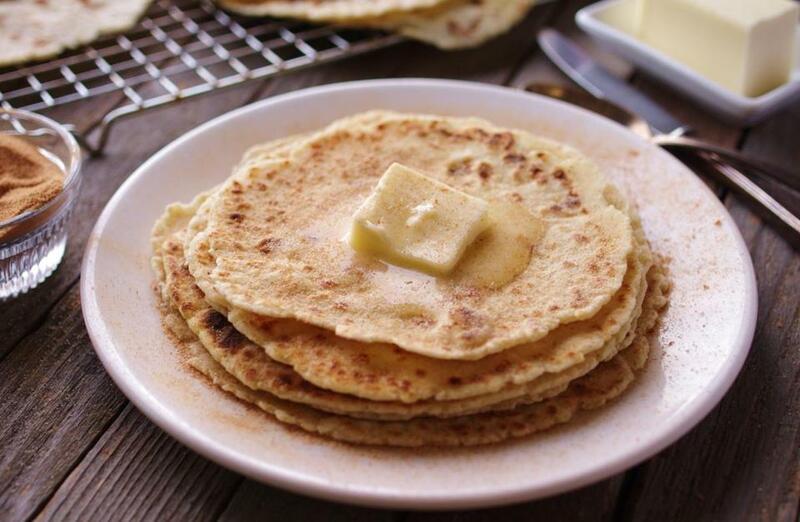 The hot lefse, nearly paper-thin, is slathered with butter and sugar, brown sugar, cinnamon, or any combination of the three, rolled and devoured before the butter has a chance to cool. Lefse are also eaten with cold meats, cheese, gravlax, and more. A soft dough of mashed potatoes, cream, butter, and flour forms the basis of the dough, which is shaped into balls, then rolled out on a cloth-covered surface with a grooved, cloth-covered rolling pin. They’re cooked on a hot griddle until golden brown in spots. Cloth is used because it helps to prevent the dough from sticking to either the rolling pin or your work surface, and a lefse stick, which looks something like a long metal spatula, only made from wood, is used to lift the round off the surface and turn it while it’s cooking. In the United States, lefse is primarily made and eaten in areas where Scandinavian-Americans live: Minnesota, the Dakotas, Wisconsin, and Iowa. In these regions, any equipment not handed down from grandmothers can be found in many stores (they’re also online at Amazon.com and Target.com). But lefse can also be made with a variety of everyday kitchen tools. Like crepes or pancakes, sometimes the first couple don’t quite work. You’re getting the hang of it and the pan is becoming seasoned. But even the failures should be spread with butter and passed around, or enjoyed in private by the cook. Jackie Varriano can be reached at jackievarriano@gmail.com.